Item # 317760 Stash Points: 2,495 (?) This is the number of points you get in The Zumiez Stash for purchasing this item. Stash points are redeemable for exclusive rewards only available to Zumiez Stash members. To redeem your points check out the rewards catalog on thestash.zumiez.com. Get your summer fashion an influx of eccentric style in the Artist Collective Trippie White Tank Top. 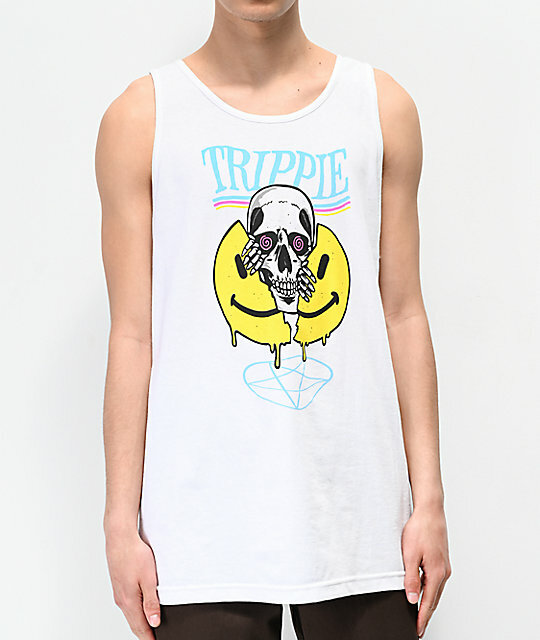 All-white and tagless in construction, this tank features screen-printed images throughout the chest of a skull emerging from a smile face along with the word "trippie" for appropriate script detailing. Trippie White Tank Top from Artist Collective. 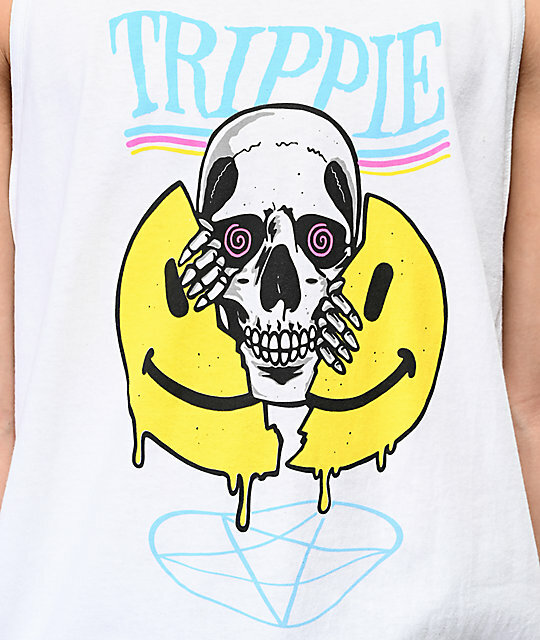 Screen-printed graphic on the center chest of a smile, a skull and the text "trippie".